Casa Sonora was completed in June 2007 and has three bedrooms and 2 bathrooms on a single level with a rooftop observation deck. 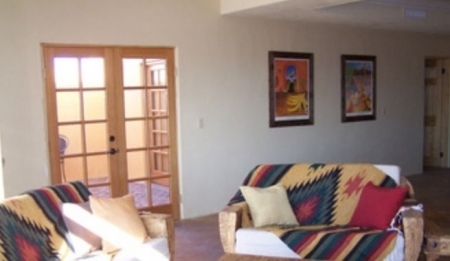 Casa Sonora can accommodate up to 10 people. The master suite consists of the master bedroom with pillow top Cal king mattress with its private patio and master bath with dual vanities and walk in shower. One guest bedroom is outfitted with a queen bed while the other has 2 twin beds. The guest bathroom has a single vanity and walk in shower. All the bedrooms have ceiling fans and forced air heating and cooling. 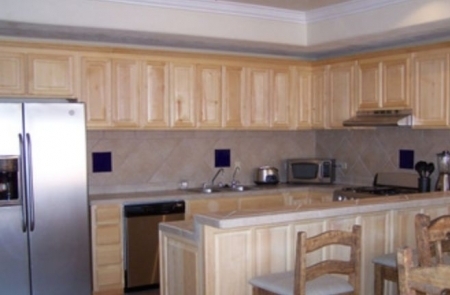 The full sized kitchen has all modern amenities including a side by side refrigerator with filtered water and ice dispenser, microwave oven, diswasher, blender, and toaster. A spigot at the kitchen sink delivers filtered water for cooking. Just off of the kitchen is the full sized dining room with room for 6 at the table with another 3 chairs at the breakfast bar. The living room has a wood burning fireplace and satellite TV with local Phoenix stations in addition to the love seat and sleeper sofa for your relaxation. The living room looks out onto a brick lined private patio. 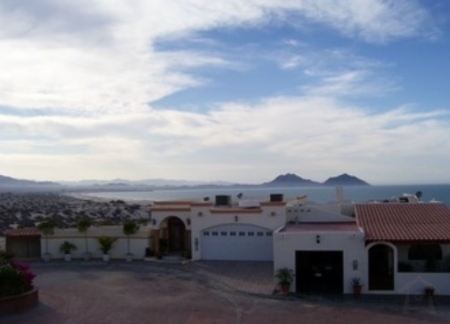 The rooftop observation deck provides views of the mountains, desert, the Sea of Cortez, and the town of San Felipe. Included on the deck are a fire pit and built in barbecue and sink. 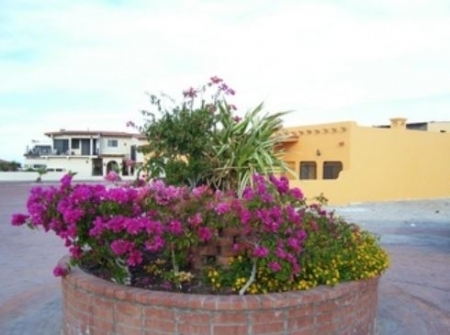 You can enjoy a meal while taking in the sights and lights of San Felipe and the Sea of Cortez. There is a single car garage with pull through for an extended trailer or toys. The beach is within an easy walk and the sand dunes are but 50 feet away. Holidays Rates......................$279.99/night (minimum three night rental). Monthly Rates.......................$2750 including utilities and housekeeping.